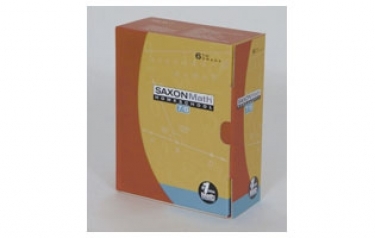 Saxon math programs produce confident students who are not only able to correctly compute, but also to apply concepts to new situations. These materials gently develop concepts, and the practice of those concepts is extended over a considerable period of time. This is called "incremental development and continual review." Material is introduced in easily understandable pieces (increments), allowing students to grasp one facet of a concept before the next one is introduced. Both facets are then practiced together until another one is introduced. This feature is combined with continual review in every lesson throughout the year. Topics are never dropped but are increased in complexity and practiced every day, providing the time required for concepts to become totally familiar. Saxon Math 7/6 mathematics program that consists of 120 daily lessons and 12 activity-based Investigations. Students are tested after every fifth lesson, and all tests are cumulative. Concepts are introduced incrementally and are continually practiced throughout the problem sets. Grade 6.